Nairobi Water women’s handball team head coach Jack Ochieng has included pivot player Diana Nafula in his traveling squad ahead of East and Central Africa Club Championship, which kicks off this weekend in Kigali, Rwanda. Ochieng retained the squad that featured in Africa Club Championship in Morocco in October where the side finished last and added Nafula to the traveling party. The Kenya handball Federation (KVF) national league champions who were scheduled to depart the country to the host nation on Friday evening will be out to defend their title they won last year in the event held in Nairobi. Speaking at the Nyayo National stadium, handball court during their final training session, Ochieng said the team is well prepared ahead of the event. Ocheing who double up as the national women’s team coach said thanks to the frequent participation of the team to the International events, players are in competitive mood. “Majority of players from this club-Nairobi Water formed part of the national team during this year’s All Africa Games (AAG) in Brazaville, Congo and later went ahead and featured in Africa Club Championship in Morocco and so they have remained in formbook,” said the tactician. 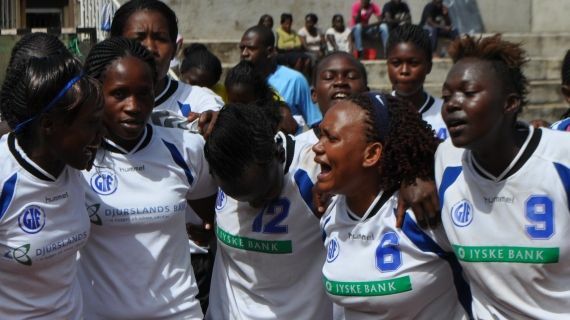 Squad:Triza Awori,Magdaline Muthoni, Gladys Chillo, Faith Muhala, Cecilia Kideu,Jane Waithera, Melvin Akinyi , Brenda Musambai, Merina Andala, Elizabeth Kemei Judith Augoh and Brenda Ariviza.